My friends, neighbors and relatives all know I love junk. I got this old rusty cover from a friend for free. The patina is just great! This is a saw horse that I purchased in August of 2017 at a yard sale for 50 cents! It was too junky and cheap to pass up! 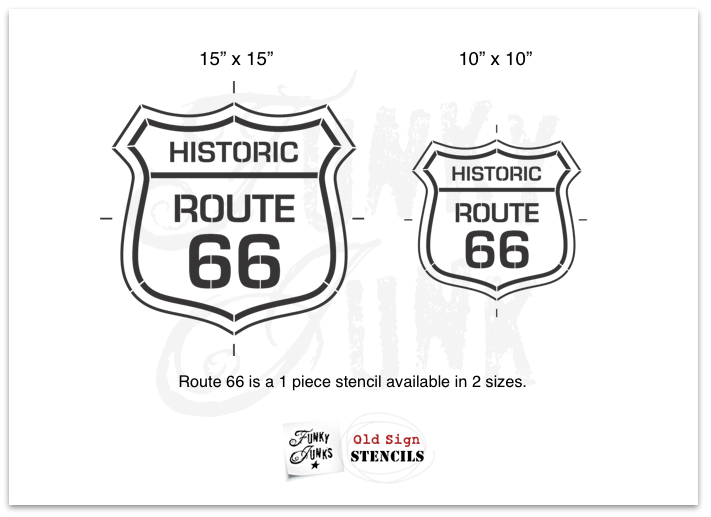 For this project, I have chosen the historic, *small Route 66 stencil from Old Sign Stencils. 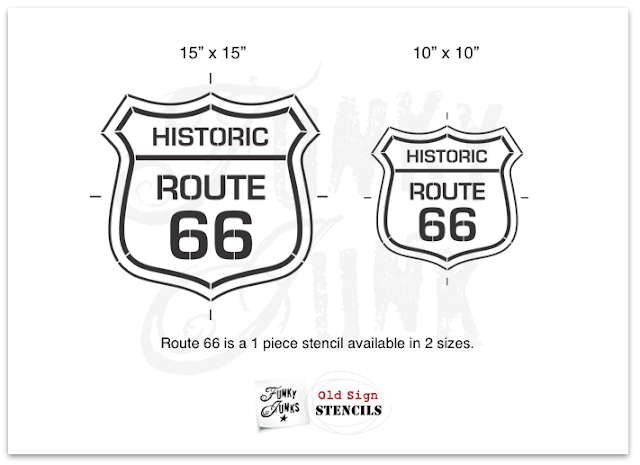 Although it was officially removed from the US Highway System in 1985, it remains an iconic symbol and memory of the Great American road trip, in song, and on a television show. 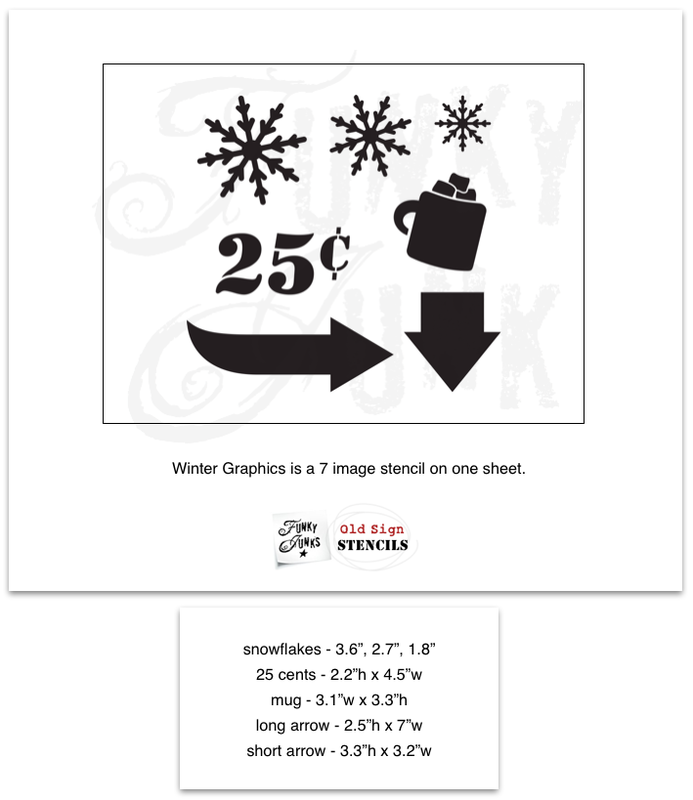 I will also be using the arrow and the number 25 from the winter graphics stencil from Old Sign Stencils. My rusty cover sign doesn't have the shield portion of the sign. I love to mix and match my Old Sign Stencils. 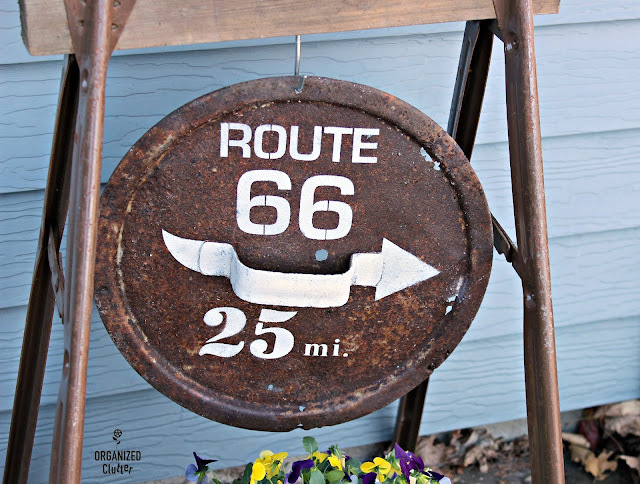 It's a rural, homemade style, dirt road sign directing traffic to the famous US Interstate Highway 66. For the mi. on my sign I used a Momenta Lower Case Adhesive Stencil. I used Fusion Mineral Paint in Champlain to stencil my rusty cover sign. It's really very durable once cured. I also sealed the stencils with several coats of Krylon Clear Sealer in Satin Finish since the project will be outside. This is a rusty little metal and wood lag screw bin that has served as a planter already during previous summers. I attached it with screws to the 2" x 4" across the top of the saw horse. It has several drainage holes. 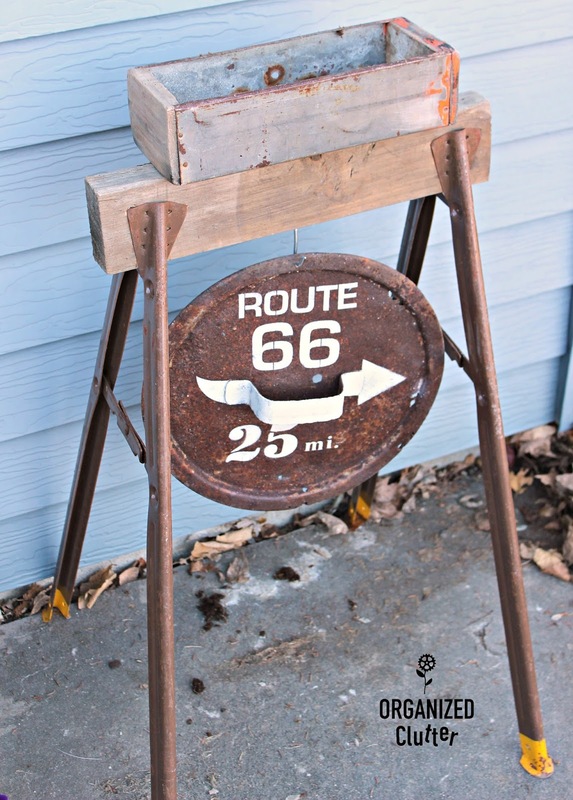 My rusty sign is hanging on a screw hook. I purchased a few plants from our local Menards. Most of our greenhouses are not open yet. It is way too cold to plant in northern Minnesota. 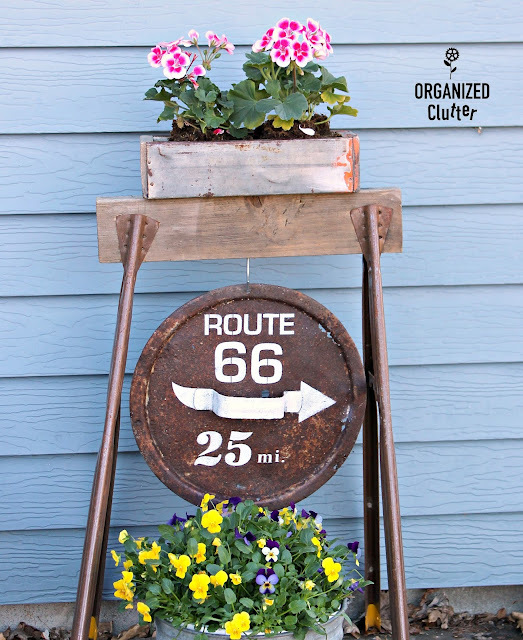 This bucket of violas, and the two geraniums will have to spend some nights in the garage until mid to late May. 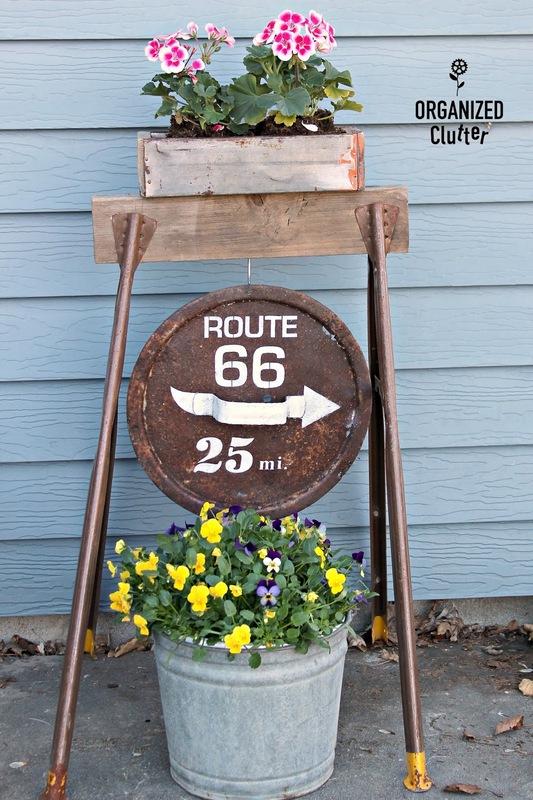 Anyway, I think my faux country road sign/planter will be fun as a focal point in one of my smaller flower beds! Your sign turned out fantastic, Carlene! I love it! 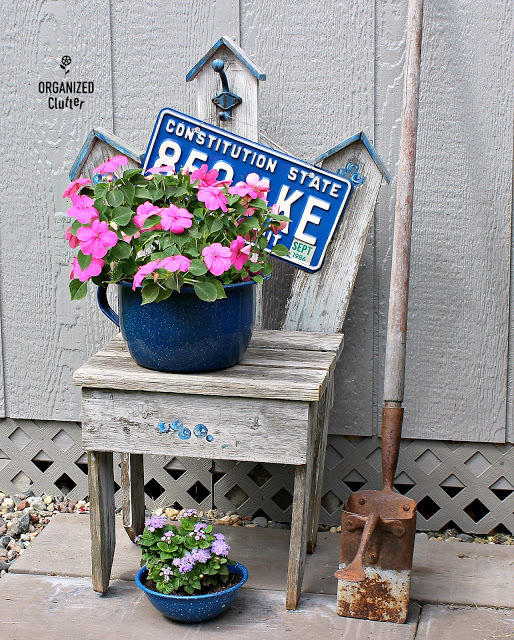 I adore what you made with the stencils from Donna's store. 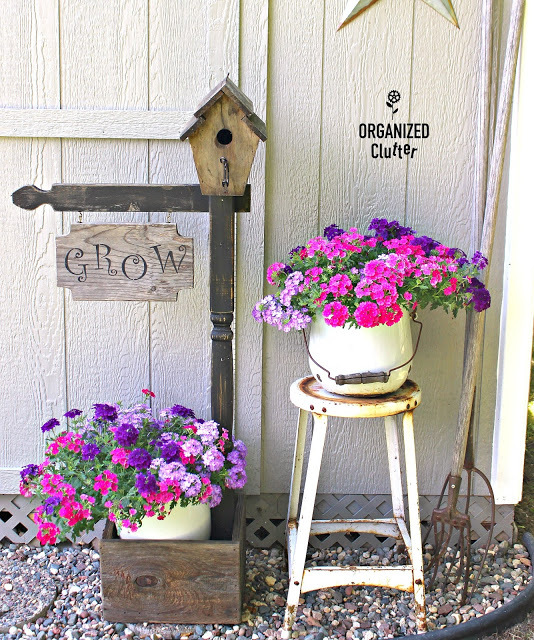 The sign is awesome and love the flowers. Yay for Menards having some pretties early! Thanks Christina! You always leave me such nice comments! Awesomeness! This project is exactly the kind I like to see. 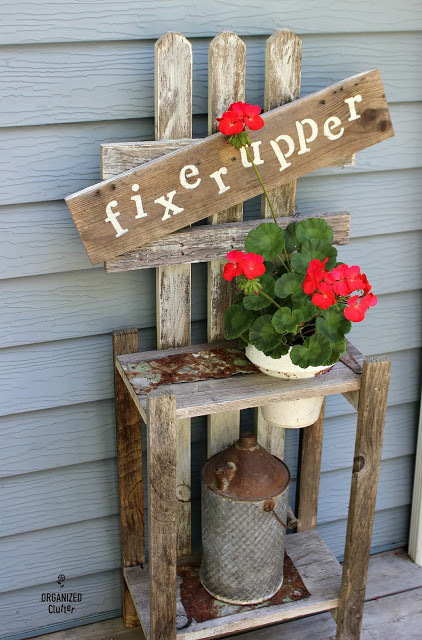 So many diy bloggers are steering away from this kind of inspiration so thanks for keeping it real. Thanks Carol! Making something out of nothing is so much more fun than buying it! Too cute! Love it to pieces!